Brie Larson recreates iconic Captain Marvel/Ms. Marvel moment with fan – AiPT! 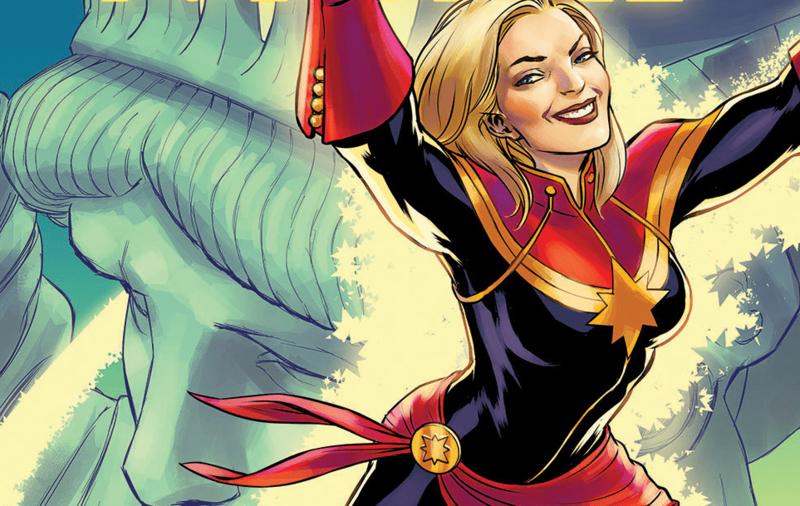 “As you may know, Carol is Kamala’s greatest inspiration,” the fan said. “And since you’re mine, can we do a picture like this one?” Larson was happy to oblige and the two recreated the heartwarming scene from Ms. Marvel Vol. 3 #18. Talk about fully embracing one’s role as a superhero. Captain Marvel, which recently saw its second official trailer air during a recent Monday Night Football game, hits theaters on March 8th, 2019.